Caption slip reads: "Photographer: Forbes. Date: 12-24. Reporter: Reay. Assignment: 5th annual Christmas program for all employees of City of LA. 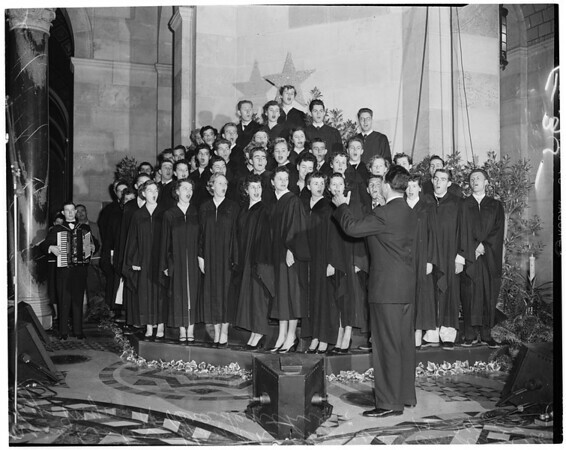 35-36: Manchester Youth Chorus conducted by Mynatt Bredenthal."